2- What Runs - This plugin is very useful when you want to about technologies a website is running. Such as, server information, server side scipting language, client side scripting language adevertising technologies, sales and marketing and web frameworks. What runs can help you to know about technologies a website is running. 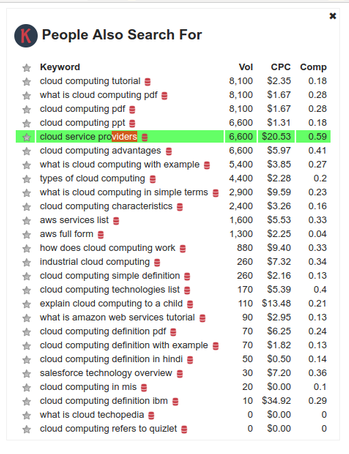 3- Keywords Everywhere- A free keyword research tool that shows, search volume, CPC and competition. Which can help you to choose a keyword that will bring traffic of your website and increse CPC. 4- SEOquacke- This pluging shows all parameters related to Search Engine Optimization. 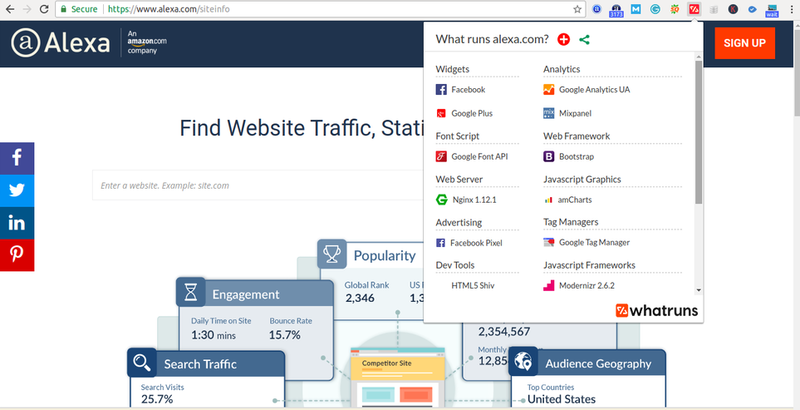 For instance, alexa rank, webarchive, Google index, Bing index, SEMrush rank, Whois, Facebook likes and Linked in sheres. This can be installed clicking on the link. Click on the link. 5- Moz Rank - If you are interested in Moz's Page Authority ( P. A.) and Domain Authority metrics of a website. You can install Moz Rank plugin from here. Click on the link. Conclusion- In this post i have explained about useful free plugings that can help you to understand your website and take needful actions. Hope it will help you.